Pet owners who visit veterinarians often have a common question, how do I know when my pet needs dental work? There are a lot of indications that your pet will show you that tells about their oral health. You could get a proper veterinarian examination to assess the oral health of your pet. However, there are some signs that you could notice yourselves to determine whether your pet needs dental care or not. For most people, it is a common observation that pets have a bad mouth odor. This is the case because they don’t have a daily oral hygiene routine. But, care should be taken every now and then to prevent the build-up of bacteria which is supported by decaying tooth that results in the gap being formed between the gum and tooth. This place becomes a budding ground for infection to spread. So when your pet is reeking of foul smell, they might have an aggravated case of gum disease. And you should have gotten them dental care prior to that happening. Pets like to chew in their free time, and they have plenty of free time. They have to have the energy to chew all the time and also better oral health for them to be able to chew. Look for when they appear to be chewing less or when that they have put aside their chew toy. This implies that they are experiencing pain in their gums. Notice how they chew their food also. This could give you an indication as to their oral health. Pets are usually excited to be presented with food. If you see them losing this excitement, then you should be concerned as to their oral health. They might be avoiding to eat if they have some dental issues, like infection or inflammation in their gums. Also notice for their inclination to eat when they are being given hard foods, if they particularly avoid it then you should get them some dental care. Look for when they start to produce excessive saliva. This might point towards the fact that they are experiencing pain in their gums. Sometimes there are dental abscesses in the mouth that create a painful sensation and discomfort. Excessive drooling could be triggered when your pet has been in a fight that ended up damaging a tooth, or they might have damaged their teeth by chewing on hard stuff. There might be a risk for periodontal diseases as well. Sometimes the condition is worse, and that’s when the pets have tumors built upon their gums. The extent of malignancy of these tumors will decide on the severity of the treatment. Your pet might get their teeth or some part of their jawbone removed. These tumors are usually found in their last stages for pet owners who do not have a daily oral care routine for their pets. Therefore, it is recommended that you take care of your pets through a daily oral care routine. Your pet might start losing their teeth (which is considered normal, only it’s not). The teeth might become yellow which is an indication of tartar building up. These conditions point towards the build-up of bacteria which might lead to problematic gums and then painful infections and inflammatory episodes. When you have identified the signs mentioned above, you should get your pet proper dental care. It is recommended, however, to not reach that stage of severe oral health condition. 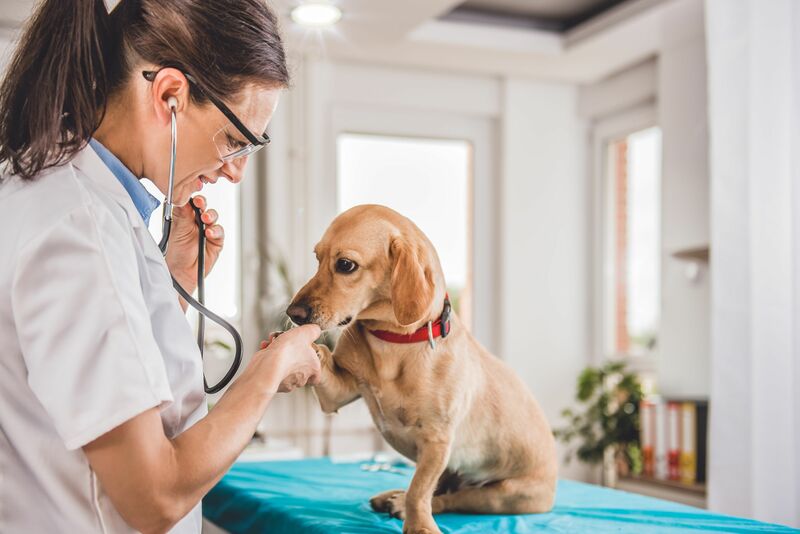 Pet owners are urged to keep to a daily pet care routine that doesn’t only cater to their hunger but also their hygiene as their hygiene might cause further health issues for their vital organs. So, if your pet suffers from any of these symptoms and your wondering whether your pet needs dental work, it might be a good time to see a veterinarian.